This year I’ve drawn a couple of spooky strips: a mad scientist tale for 2000AD and the adventures of ‘Ghostbusters in tweed’ Lionheart and Dunning in The Scarifyers. So for Halloween I decided to dig up some mouldering monsters and maniacs from my archives, and I’ve been posting them on Instagram for the last week. “Cartoony” is such an ambiguous adjective, not helped by the word “cartoon” referring to either animated or static images. I used to rankle at the label cartoonist, but I’ve come to embrace it. Partly, this is due to changes in my own reading tastes, but also through the work of Scott McCloud et al I’ve come to appreciate the immediacy of the simplified image. Besides, “cartoonist” is less of a mouthful than “comic strip creator”, and infinitely preferable to “graphic novelist”! Within my own work, some is a lot more cartoon-like than others. 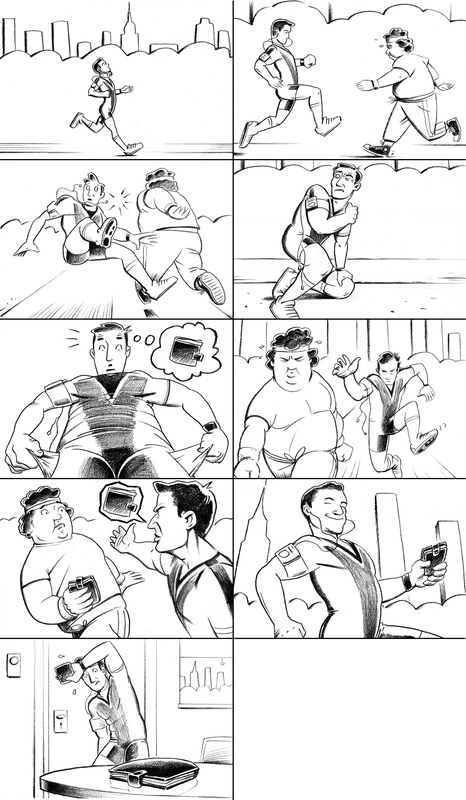 My most recent artwork for 2000AD is probably my least cartoony comic strip art, but Joggers (3rd example below) was drawn in response to a brief that specified a cartoon style. 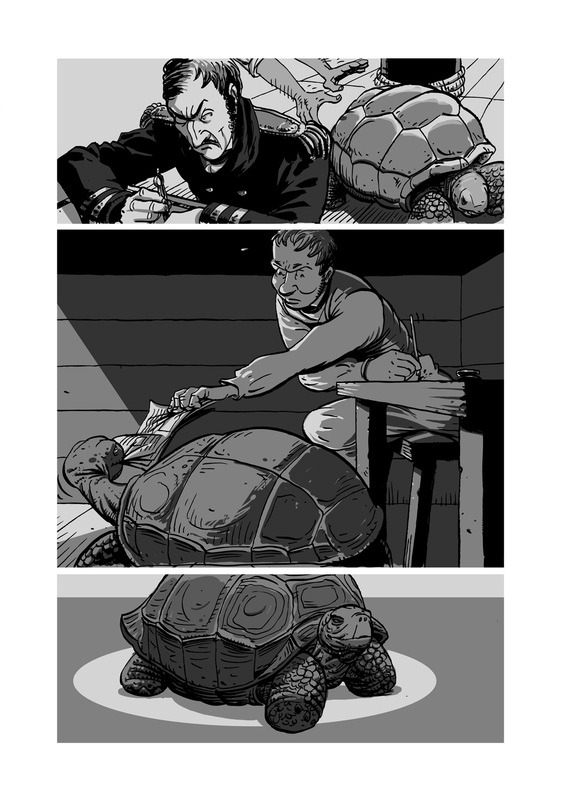 In between, in degrees of cartooniness, is the facts-tempered-by-humour style of historical books like Darwin: A Graphic Biography and the more atmospheric combination of humour and horror required for The Scarifyers. For more cartoony drawings, take a look at my tumblr. There’s a more general portfolio here. Bristol’s excellent science fiction and fantasy convention Bristolcon opens its doors tomorrow, for the fourth consecutive year. My corner of the convention’s Art Show has a theme of ‘pirates and scientists’ (a theme inspired by a certain Bristol-made film from this year) and will have more work on display than I’ve ever exhibited before, including watercolours and 90 pages of comic strip art. 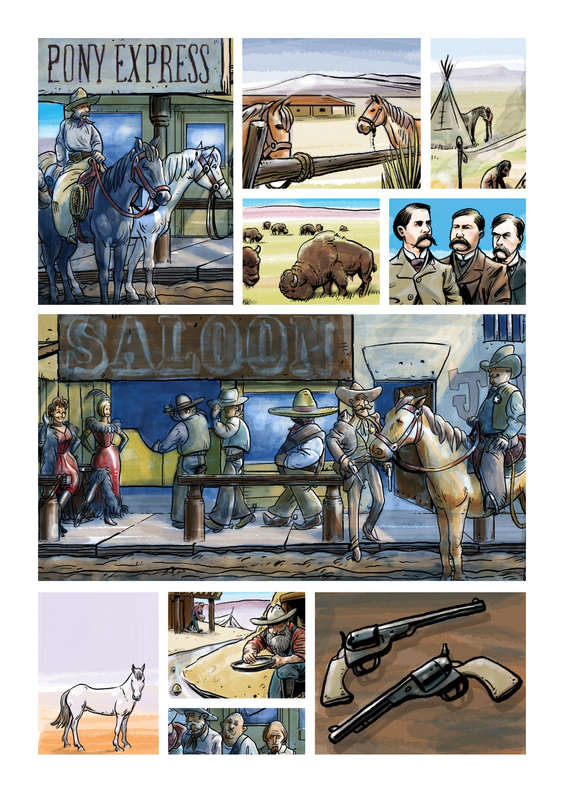 I’ll be showing new artwork from the forthcoming and revised U.S. edition of Darwin: A Graphic Biography, and for the first time I’ll have limited edition giclée prints, too. 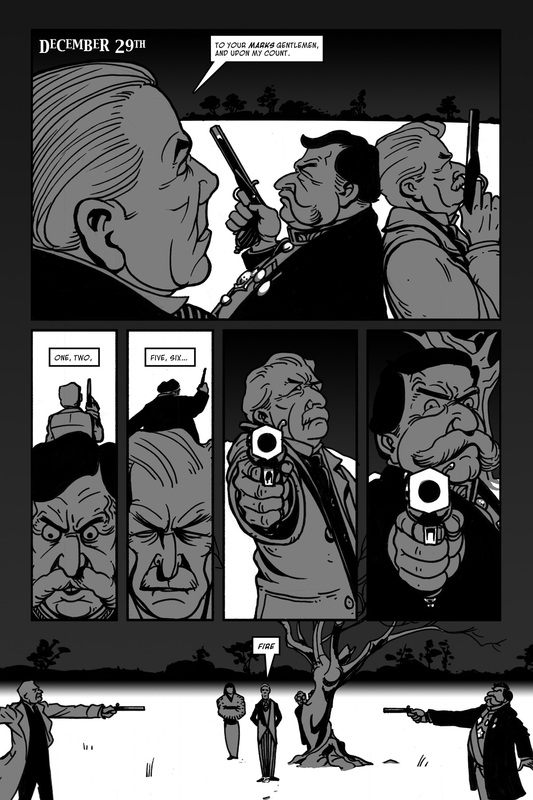 And of course The Scarifyers issue 1 will be on sale, I’ll be happy to sign copies and show the original artwork. If you’re coming, please do say hello. Bristolcon has a reputation for being one of the friendliest conventions, and meeting people is one of the main reasons I go!